This world can sometimes make it hard to see color. Consumed by its weight, both our own and others, monotony becomes our default. Like many artists, we create in response to our own need. What I have desired of my own work is to be comforted, assuaged and that often manifests itself in soft, muted tones and palettes. These last few weeks have demanded a different need. 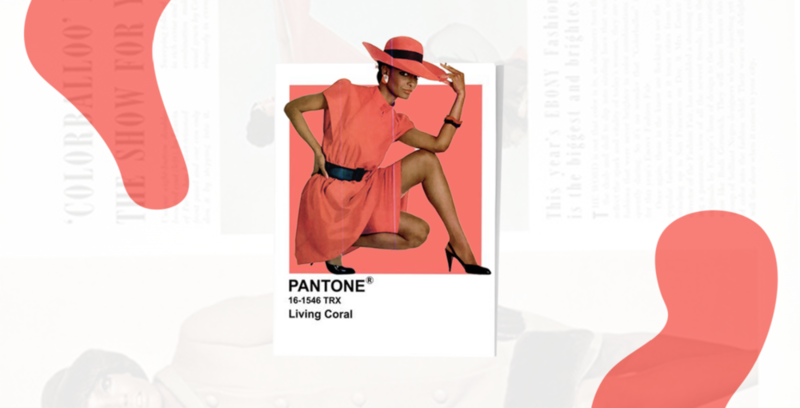 After digging through some old files looking for inspiration, I found saved swatches from shortly after Pantone announced ‘Life-Affirming Coral’ as its Color of the Year. Affirmation indeed. The result are the above edits. I paired the swatches with a few ladies from vintage Virginia Slims ads. While small, they invoked a real joy. A moment to not only affirm life but to imagine my world once more in new colors, that has lately felt dim and brief and bounded. And to know that even in fear and doubt and death, there is color. All an attempt to make ourselves more realized, more expressed and felt in the world. There is still more to make of this present. What a gift it is to know that you can see this world in a new hue.